Iraq - Sharia, Yazidi refugees (Internally Displaced People) living in unfinished houses, tents, on the road. Each of them has lost family members (were killed by ISIS) and many of them were kidnapped. The living situation is catastrophic. Winter is coming, without blankets, warm clothes. Here, the refugees are housed in a Structural work of a school. About 1,000 people live here in confined spaces. 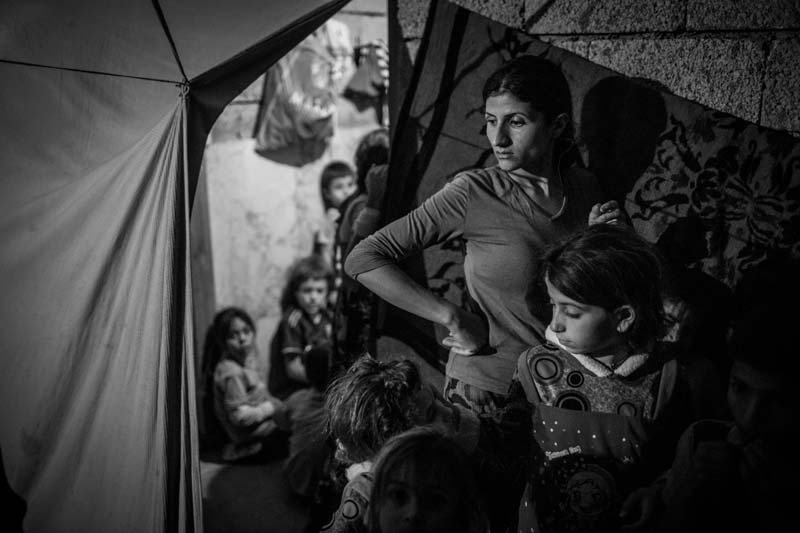 A mother could flee from the IS areas with her children.